LONDON, ON – Forked River Brewing has announced that a popular summer seasonal brand is returning for another year, this time in a new format. For this year’s release, Mojo is shifting from bottles to 473 ml cans, the first Forked River beer to be available in that format. 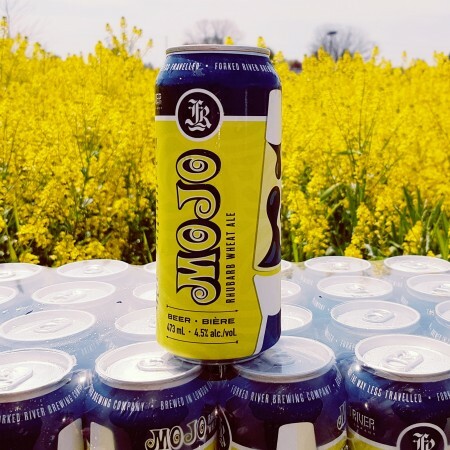 A “swinging ’60s” themed launch party for the new release of Mojo will be taking place today (May 18th) starting at 5:00 PM at the Forked River brewery. For more details, see the Facebook event listing.